The memorial stone totem, Those We Have Held, adds a special touch to a memorial garden. The upright design and comforting words will bring beauty to the outdoor space. The garden stone, accented with a cross, is made of cast stone concrete to provide durability. 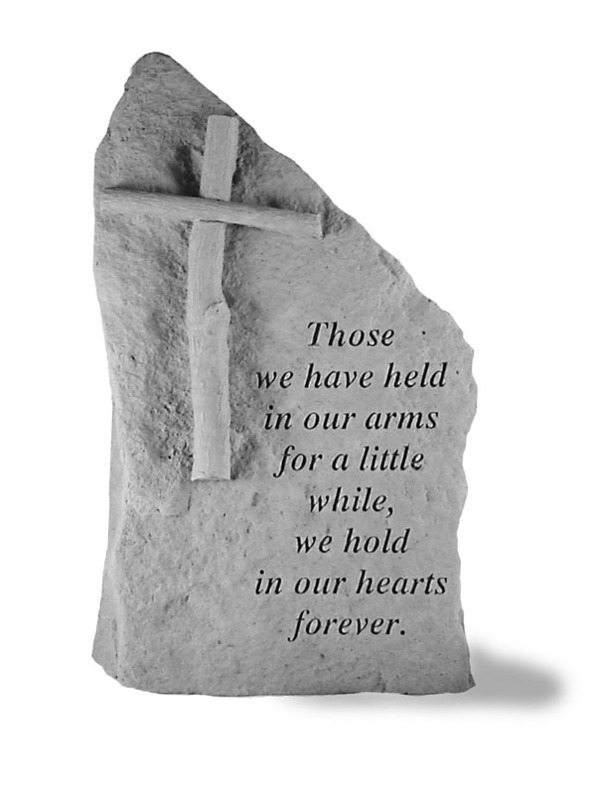 Memorial totem stone measures 14.75" x 8.5"